Is it Crazy in Your Workplace? By crazy, I mean even though you and your co-workers were hired for your brains, the conditions at work make it very difficult for your brains to be productive. Do you work in an open area office? Are you expected to respond to emails and phone calls within minutes? Are you expected to multi-task often? Do you have to attend frequent meetings? Does your boss often give you additional work when you are already overloaded? Are you expected to work long hours to meet tight deadlines? Do you regularly work more than 40 hours per week? Are you expected to respond to work-related emails and phone calls when you are at home? How would you like to work for Basecamp where each employee has a quiet, private, and spacious office space with “library rules”? Their office areas are like libraries. If someone is at their desk, it is assumed that they are working and must not be disturbed. People whisper to each other, and if several people need to work together, there are small meeting rooms where they can collaborate. At Basecamp, everyone, including the founding partners, works 40 hours per week, 32 hours per week in the summer. They don’t have a sales force because they don’t chase after big contracts in huge organizations. They have about 100,000 customers, each paying the same monthly fee no matter what size they are. They don’t have goals beyond a timeline about 6 weeks out, no bonuses, no strategic planning. They discourage FOMO – fear of missing out – and encourage JOMO – joy of missing out. Employees send a summary email of what they worked on to the few people who might need it at the end of each day. Team leaders write monthly summaries of what their team is working on and what happened in the current month. They believe in a culture of eventual response. People concentrate much better on their work when they are not expected to read or reply to email many times a day. They believe in less – less work and less stuff – so they get more stuff done. In 20 years, they have never once regretted doing less, they have often regretted doing more. Less is always an option. But are they profitable? I would say so – all growth has been powered by customer sales since they started over 20 years ago. They have been profitable every year and now have a multi-million dollar annual revenue, and tens of millions of dollars in annual profits. Although they are in the very competitive software industry, they had no venture capital investment. In 2004, they had 45 accounts signed up, in 2018 they have 2,838,046 accounts signed up. 3,746 businesses signed up last week for the results their project management and team communication software gets for their customers. Currently, they have a staff of 54 in 30 cities around the world – on every continent and many different time zones. They work on projects for 6 weeks, then take 2 weeks off from scheduled projects to catch up with other work. They only have meetings as a last resort, but they encourage collaboration and teamwork. They discourage multi-tasking, but encourage concentration for periods of an hour or more, and discourage employees from interrupting each other. Wherever in the world you work for them, they pay you in the top 10% of market rates for the type of work and your seniority level as if you were in San Francisco, California. When hiring, they don’t care about qualifications. They look for people different from those they already have, then pay them for one week to complete one project. They only hire the people who produce good work and fit in well with their current employees during that “test” week. 50% of their employees have been with them for 5 years or more. The industry average is 2 years. They don’t talk about themselves and their employees as family. They do care, and they do help, but they consider themselves as co-workers, as supporters of families, allies of families. Their employee benefits are amazing. Each employee, who has worked there for over a year, receives a fully paid three-week vacation each year. Fully paid means the company pays for the employees’ vacation flights, the hotels, and everything. They want their employees to really unplug all connection to the company for a real vacation. From May to September, each employee can take either Friday or Monday off each week. Each employee receives up to $1,000 per year for continuing education. This could be for anything the employee wants to do – take a cooking class, learn to play the banjo, anything they are interested in learning. The company will match up to $2,000 any amount each employee donates to charity. Each employee has a massage paid for each month, as well as $100 toward any kind of fitness regime. Every third year, each employee receives a 30-day paid sabbatical. If total profits grow above the previous year, all employees who worked that year receive 25% of the increase. The owners do not intend to sell the company, but if that changes, 5% of the proceeds of such a sale would be divided among the current employees at the time of the sale. They want long-term, stable, happy, healthy, hard-working employees who love working at Basecamp and who can get their work done in a 40-hour work week. Check them out at basecamp.com/how-it-works. 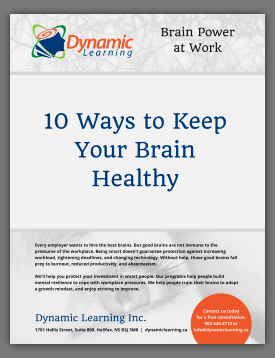 This company works to protect and nurture the brains they hire.